The Detroit-Warren-Dearborn metro statistical area is located in southwest Michigan, and is often referred to as the Motor City . The greater Detroit metro area, also known as the Detroit Tri-County area, is made up of Oakland, Macomb, and Wayne counties. It is the largest metro area in all of Michigan, and has the largest foreign-born population as well. It has one of the largest industrial economies in the nation with fourteen Fortune 500 companies in the metro area. Roughly half of Michigan's total population lives in the greater Detroit area. 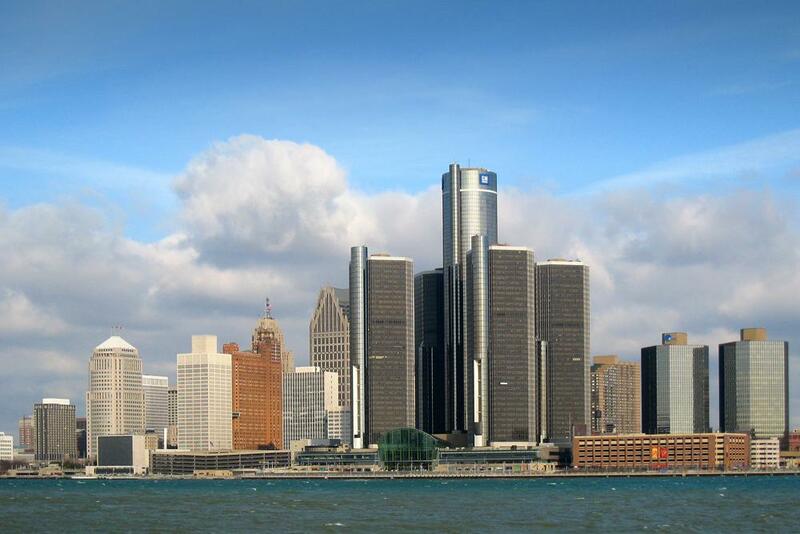 Detroit is the largest city located on the United States-Canada border. Dearborn, a city just west of Detroit, has the largest portion of Arabs of all cities in the United States. Iraqis are the largest people group located in Detroit, and the Detroit metro area has the largest population of Iraqis in the country. Detroit boasts the largest Yemeni population, and the second largest Lebanese population in all of the United States. The greater Detroit metro area has one of the largest Islamic populations in the nation, and the Nation of Islam originated in the city of Detroit. The Hispanic population has increased by 70% since 1990. Detroit has one of the largest amounts of halal-certified restaurants in the county. It also has one of the largest Islam communities as well, with multiple Mosques located around the greater Detroit area. Detroit has recently become a destination for immigrants coming to the United States. Due to the affordable price of living, many immigrants are moving to Detroit making it one of the more diverse cities in the country. Originally Detroit was a destination for European immigrants seeking affordable living costs. However, the populations of most of the other people groups in Detroit have been on the rise over recent years. The largest ethnic group in the Detroit area is the Arabic people. Detroit is home to the largest populations of many of the immigrants from Arabic countries such as Yemeni, Jordanian, and Lebanese. The metro area has the largest Iraqi populations in the country at approximately 36,000 immigrants, and the second largest Muslim populations outside of the Middle East in the world. Dearborn has the densest Muslim population in the area and is primarily comprised of Shiite Muslims. Displaying 1-25 of 44 results. Refugees and Immigrants in Detroit- A good website for information on immigrants and refugees in Detroit. Detroit information- A good place to start for getting to know about the city. Islam in Detroit- A website about the Islamic community in Detroit.